As we become increasingly connected by IoT, businesses can maximize the wealth of data to stay competitive and prepare for future innovation. Rather than relying on intuition and observation alone, data takes the guesswork out of managing your fleet and enables you to make informed decisions that improve safety, productivity, and increase profitability. Fleet tracking opens a window into daily operations, equipping you with data about asset utilization, driver behavior, industry trends and other factors that can make or break your business. The vast insights available through telematics can help you discover where you could be doing things differently to prevent financial losses and secure a competitive advantage in today’s ever-evolving marketplace. Correct driving behaviors, such as harsh braking or speeding, before they cause an accident or add unnecessary wear to the vehicle. Diagnose vehicle conditions that are potential hazards, such as low tire pressure, so they can be fixed before resulting in an expensive breakdown and non-productive downtime. Identify the exact location of drivers and assets so they can be quickly re-routed to a different job site, if necessary. Find the fastest and safest route to a job site, taking traffic, road hazards, and other factors into consideration. Set up a preventive maintenance schedule to extend the life of vehicles and prevent excessive, unscheduled downtime. Monitor fuel spend to eliminate unauthorized usage and other factors that could be draining your budget. Measure performance against industry benchmarks to make adjustments to increase competitiveness. Relying on what has worked in the past won’t cut it in the digital era. 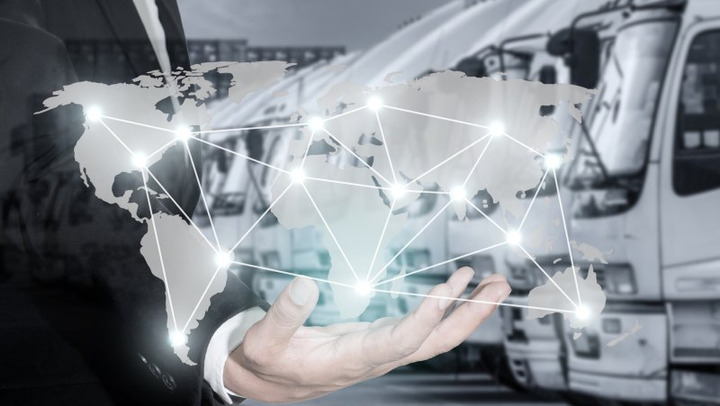 Industry 4.0 is well underway, and data-rich fleet tracking is the key for fleets to successfully operate in today's competitive landscape. An industry forecast for the next decade by Automotive Fleet includes: “Analyzing Big Data to find actionable insights will continue to gain importance as fleets become more connected and the amount of data produced continues to grow.” Laying a strong digital foundation now with telematics and other fleet management solutions will make your business more agile, ready to face new challenges ahead of the curve. Not thinking ahead and implementing solutions to improve productivity today will cost you in the long run. While you delay investing in a digital solution, your competition is reaping the operational and financial benefits of real-time alerts, including, customized reporting, electronic record-keeping, automated scheduling, and dispatch.